Anyone who has spent some time with an infant knows that describing them as a “handful” is an understatement at best. 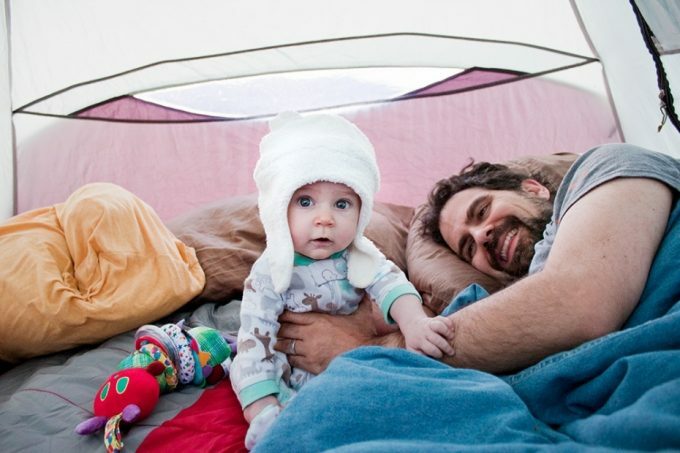 Although they are adorable and cute and you love them with all your heart, the idea of camping with infants might seem like a disaster waiting to happen. Well, this doesn’t need to be the case. In fact, camping can be an awesome opportunity for you to introduce your young child to new things and to build family memories and traditions that will go a long way towards building strong relationships and togetherness. 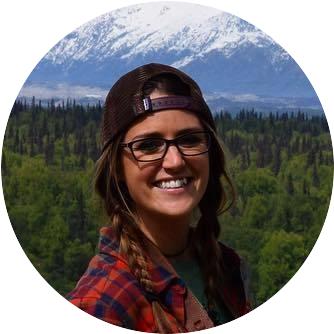 However, planning camping trips and executing them successfully can still be daunting, so we are going to discuss exactly how to prepare for this type of trip so that it can be a wonderful memory instead of a disastrous mistake that you never repeat. 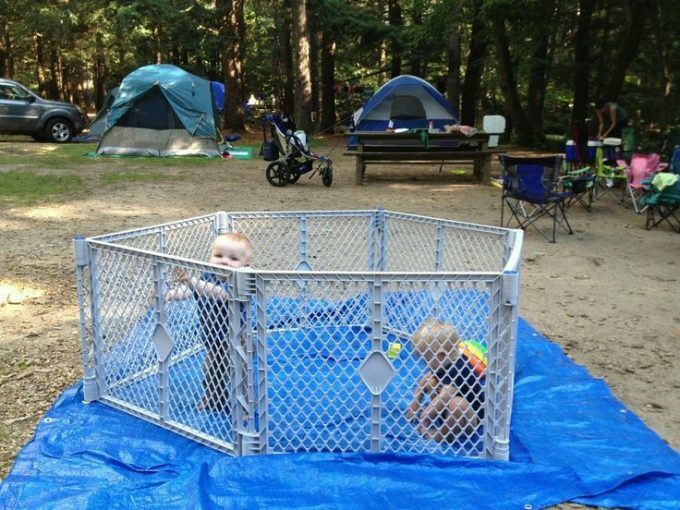 Any parents that are considering taking a camping trip with their kids are probably concerned about this aspect. If your child is still young enough to be breastfed, this is not much of an issue as your normal routine can continue, but just be sure to make sure to practice good hygiene to avoid any issues with dirt or bacteria. However, if your children are beyond this stage and are eating baby foods or other solid food, this can be a bit more of a challenge. 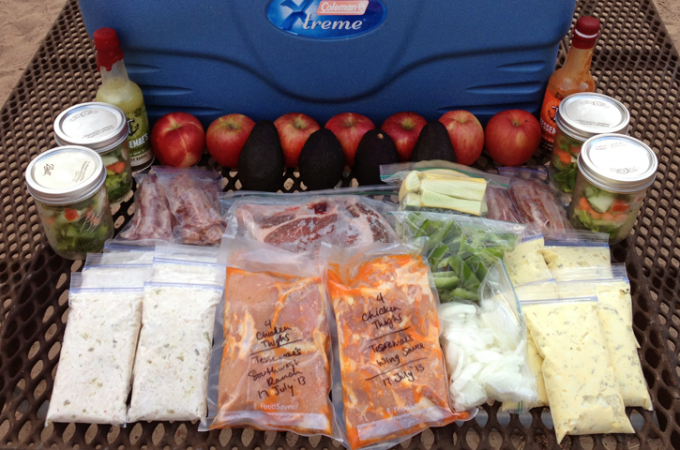 Check out our tips on food for backpacking to give you more options. 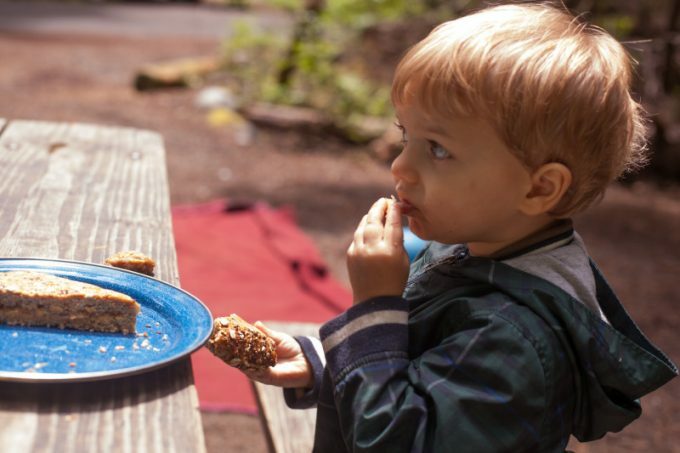 Children can be very particular about their food and are often unable to eat many of the things you might typically associate with camping. (nuts, granola bars, grilled meats, etc.) The thought of bringing a multiple-day supply of baby food can also be troublesome considering weight, space and issues with refrigeration. 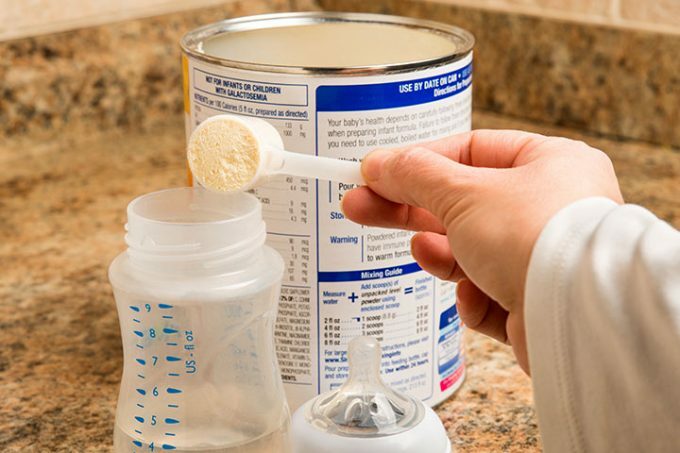 As long as you have access to a source of heat to warm up milk or water, you can use powdered formulas to help keep your children well-fed, especially in between mealtimes or during breaks. Some people shy away from these because they aren’t exactly natural, but they could be a good option to help reduce the stress around feeding your child. 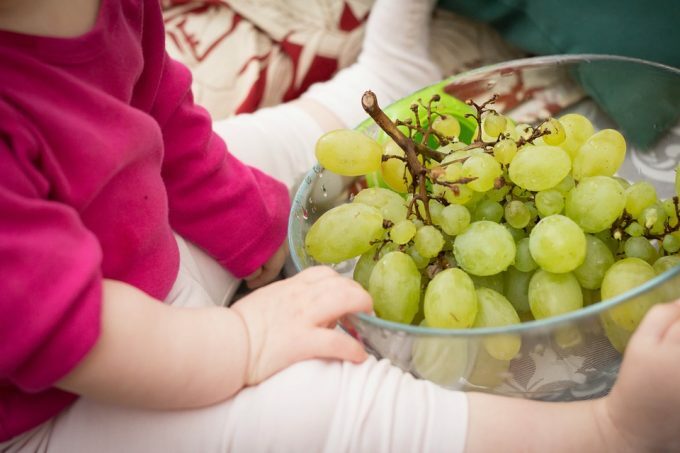 It is likely you have at least introduced these foods to your child at some point. Oatmeal is great because it is soft, easy to eat and can be prepared very quickly with just some warm water. You can add a little cinnamon or sugar into it to help try and make it a bit more appealing. Bread and other cereals are also great. Children tend to love cereal, so bringing it is a great way to get them snacking on something healthy. These types of foods are also great because the adults in the group can also eat them, which reduces the need to bring additional supplies for each person. Healthy and natural, fruits are a great food to bring along when camping with children. Surely your child has one or two that they could eat all day. Well, bring these along and introduce them as often as you can. While being outside or walking around your baby will likely get sweaty so having a way to help them replenish essential nutrients is needed. It might be a good idea to cut some fruit up and bring it along in a plastic contained and in some sort of a cooler. This way you will always have something available to give your child should they need it. This is another great option because once again these types of meals can double for both children and adults, which reduces what you need to bring. Boil carrots, potatoes, squash or really any other vegetable and then the adults can eat them whole or in soup and the children can eat them mashed up. You could bring some sort of a masher or a simple fork will also do the trick. 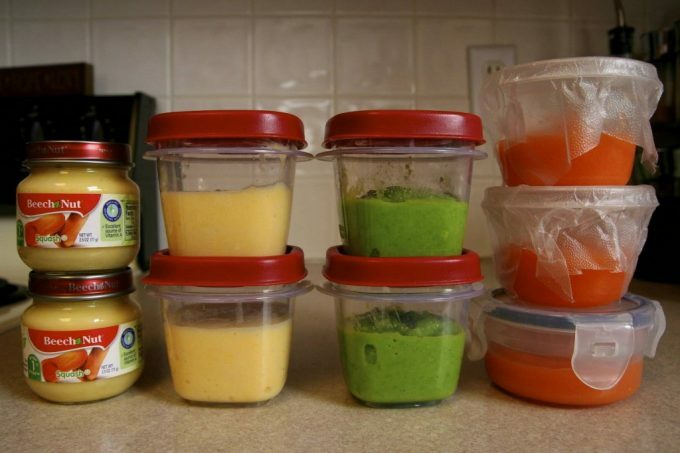 At the end of the day this is all that baby food is so you won’t be straying too much from what your child normally eats. If your child has a particular favorite, be sure to bring these along so that they will feel comfortable eating and will do so without making too much of a fuss. 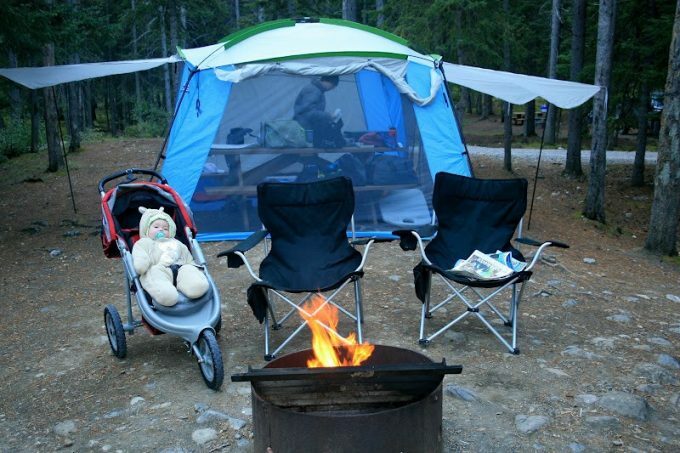 Going camping with your infant children should be something special. You want to enjoy it and you want them to as well. 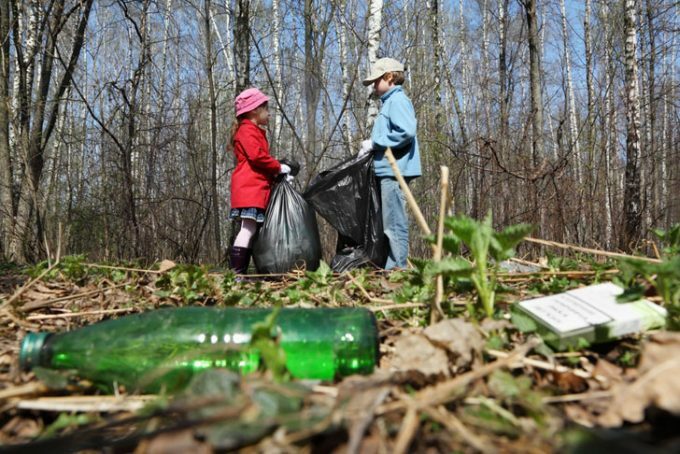 They may be young and might not remember every trip, but how you behave with them and what they do will certainly have an impact on how they grow up. So, it might not be a bad idea to treat these trips as special occasions. You can bring along some treats and snacks that maybe you are a bit stricter about at home so that they can understand that what they are doing is not typical. Plus, trying your first s’more is a memory most of us never forget! As you can see, with some planning and forward thinking, food does not need to be a big issue when heading out into the wilderness with your children. It can easily be turned into a fun and rewarding part of the trip, which will, in turn, make the entire experience more rewarding. Those with children will know that the body temperature of young children is like a roller coaster. One minute they are complaining about being cold and then after running around for a few minutes you will see them with sweat dripping off their face. It is very important that you pay attention to this when you are camping with your children since this could be very dangerous for them, especially when you are far from home. The solution to this is quite simple, though: layers. Bring several pairs of pants, from soft, warm long underwear to shorts to more durable jeans or cargo pants. Do the same for shirts and sweaters and do not forget a hat! Even if you are heading somewhere that you consider being “warm,” babies and young children lose a lot of heat from their head. By using layers, you can easily adjust to your child’s activity level and to the conditions. If they are running around a lot, it’s just a matter of helping them to remove layers, and if they are sitting by the campfire feeling chilly, all you need to do is help them pile a few more on. It is also important to bring gloves and extra pairs of socks, as well as blankets for evenings and sleeping. 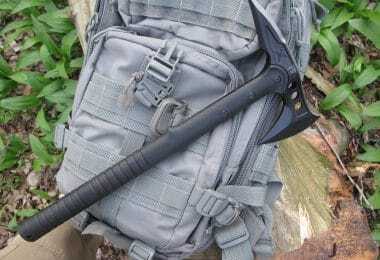 In general, a good principle to follow is “bring more and use less.” It’s better in this case to have more than you need and to not use it then to have an emergency you are not prepared for. 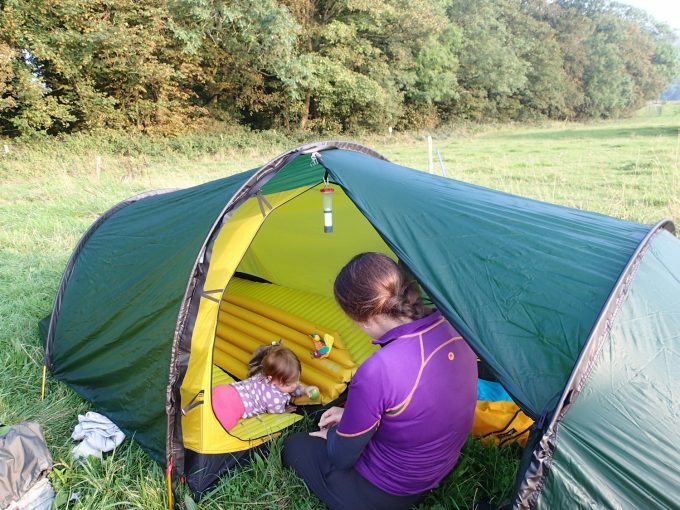 Using layers will make sure your child is comfortable and protected and will go a long way towards creating a positive camping experience with your little ones. During the day, it will likely be rather easy to keep your child occupied. 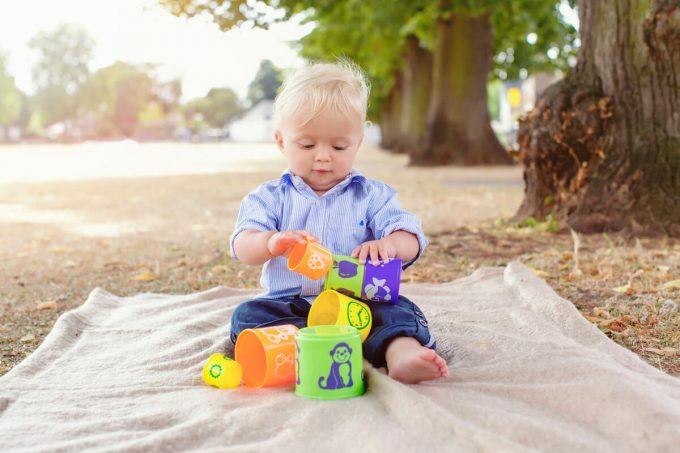 Whether you are going for a walk, fishing, swimming or doing any other activity, the wonder of the great outdoors plus the constant influx of new stimuli will keep your young one plenty happy and distracted. However, the challenge can sometimes be when you head back to camp. They will likely be tired, but the change in routine might make it hard for them to calm down and to not get upset. It is important to have some things for them to do so that this downtime can be a period of rest and relaxation and not stress and tantrums. Although it’s possible to bring portable DVD players or to use tablets and smartphones, use this time to try and disconnect from these things and to enjoy the simple pleasure of just being together with those you love most. Think about getting some books that have to do with hiking, camping or mountaineering. 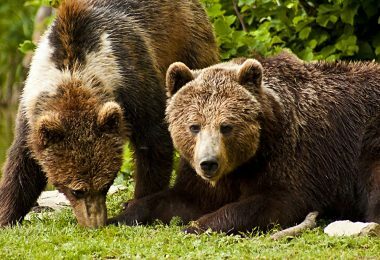 Being out in the wilderness will make these stories seem so much more real and will entertain and educate your children much more than they might if you read them at home. You could also bring along some simple board games or puzzles that could keep them busy and entertained. Toy trucks and butterfly nets are great things to bring as well. Let your children get dirty a little “building” something or enjoy their amazement at how beautiful and different each butterfly is. 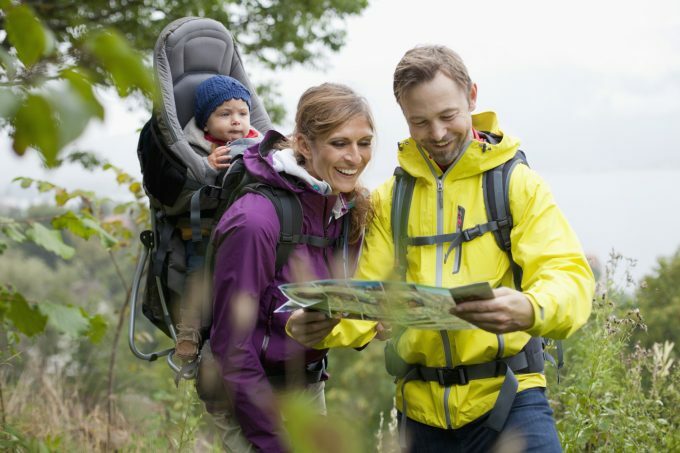 Going camping with young children is a unique experience and being prepared to entertain them in new and different ways will go a long way towards enhancing the trip. If you can, bring along something like this to help designate a play area within thecamp. If you do this, make sure to stake the tarp or blanket to the ground so that it doesn’t blow away or fold up. You can designate this as the play area and keep any toys or other items you brought for your child on this surface to help reduce camp clutter. Plus, kids love having “special” areas to call their own, and using something like a blanket or tarp will help to keep them clean. If you are backpacking this might be tough to do since blankets and tarps take up a lot of room, but since most camping with children is done near or with the car, this shouldn’t be a big issue. 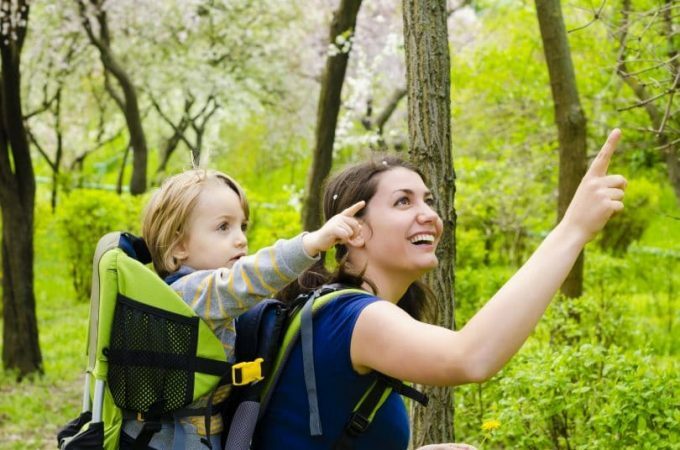 Check out our piece on how to choose the best baby hiking backpacks for your needs. It’s no secret kids like to run and get distracted easily. It’s happened to everyone. You’re reading a book or magazine and watching them play. You glance up to see them playing and having fun, look back down at your book or magazine, and then look up again only to find they have disappeared or are wandering way far away. This can be terrifying for parents and in the woods, it can be very dangerous since you can lose sight of them rather quickly, so it’s important to have a plan for how to prevent this. The two most common strategies are leashes and car seats. Car seats are great for night time; you can strap them in and then sit by the fire or near the tent so that they can relax and eventually fall asleep. Leashes are better for during the day. It might sound weird to put your kid “on a leash,” but the reality is that it is not that big of a deal. You can buy ones that are quite comfortable and that will break if there is exceptional tension so that your child can’t get hurt. If you use something like this they will likely learn that there are limits to where they can go, and in the end this won’t be an issue. Ultimately, it is a way for you to relax. If you know that your child is playing and that he or she won’t be able to run away, you can spend more time on that book and take a short break from constantly being on your toes. 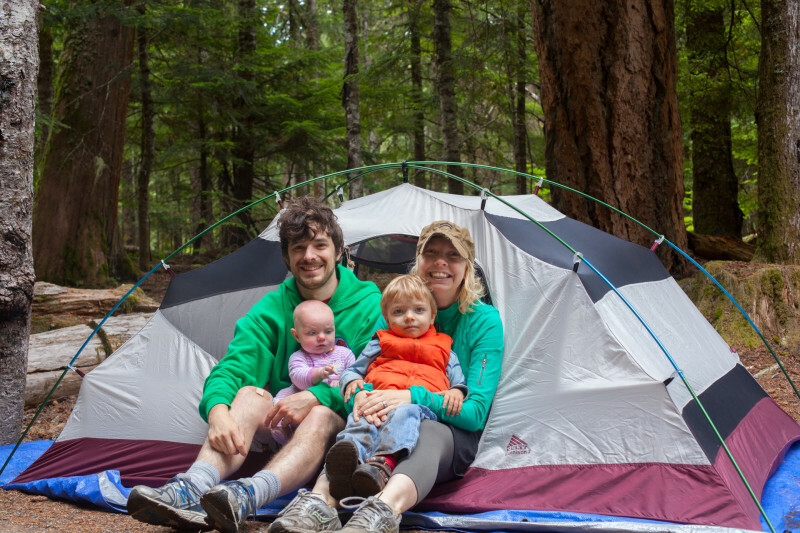 Outside of the specifics such as food and clothing, there are a few things that will be very helpful to have when camping with your young children that you might forgo if you were camping with just adults. We are going to outline a few of those so that you won’t forget to throw them in the bag the next time you head out. You might grab this for yourself, but a lot of these products contain substances that can be very irritating to a baby’s soft and sensitive skin. It is very important that you pick something up that they can use comfortable. Mosquito bites can produce intense reactions in young children and they easily get sunburnt. Allowing something like this to happen can ruin a trip, so be sure to be properly prepared before heading out. It’s always a good idea to have hot water nearby when you with children. You never know when they might get hungry and you need to mix up some formula or make some oatmeal. Having a thermos will mean you can adapt quickly and easily no matter what. It’s a good idea to fill one with hot water before each night in case you need to do a feeding session in the middle of the night. When you are out camping and hiking with your children, they are going to get sweaty and dirty. To help keep them comfortable it is a good idea to reserve a set of clothes, preferably softpajamas, just for bedtime. Don’t put them on until just before bed and take them off right as they wake up. This extra comfort will help them sleep and will also help prevent any issues with dirt or sweat building up on daytime clothing. 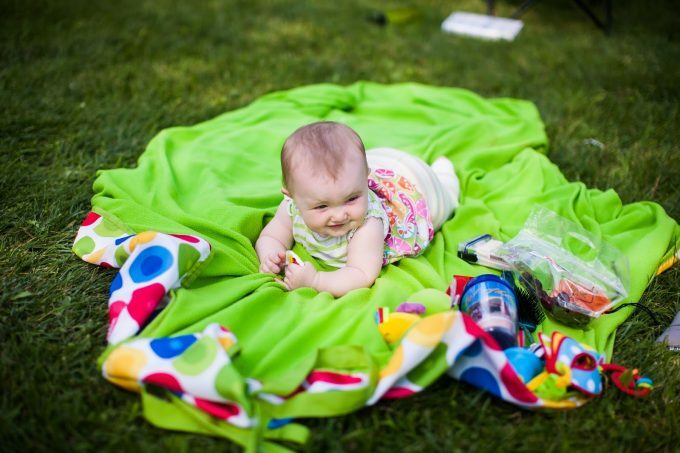 You might be okay with just a thin camping mat or the hard ground, but it is very unlikely your child will. Splurge for a thicker mat or even go ahead and buy an inflatable mattress. If you are a diehard camper this might seem sacrilegious, but the reality is that it will make life better for everyone. Having a comfortable place that is warm and reminiscent of home will go a long way towards helping your child get a good night’s sleep, which reduces grumpiness and helps make the trip more pleasurable for all. When you head out for a camping trip with your children, there is a lot going on. You will be worried about food, clothes, toys, cleanliness, etc., so here are a few things you should try not to forget to keep the trip from becoming a stressful nightmare and to help it be a rewarding memory. This might seem impossible, but what we are really referring to her is naps. The activity of the day and all the new things might make it tough, but skipping over naps and other rituals will only run your child down and hurt their mood. Anything you do during the day will be done close to campus so make sure to make it back for a little downtime. You and your child will be thankful for this and it will make the trip much more relaxing. With so much attention paid to cleanliness, hygiene, and bacteria, it might seem like camping with young children is a recipe for disaster. Just remember this: they will get dirty. Accept this as soon as you can and it will be much easier. When you were a kid you got dirty and muddy and turned out okay, so it is only fair to let them do the same. Plus, a little dirt here and there is actually a good thing. It helps their bodies become familiar with certain bacterium and this can help boost their immune system, which will help them later in life. There are lots of things to be worried about when camping. Dirt, animals, prickly bushes, poison ivy, etc., but remember: they will be okay. As long as you keep an eye on them and don’t let them do anything too crazy, you need to relax and let them explore. Being out in the wilderness is an amazing opportunity for them to learn and grow so make sure you allow them to take advantage of it. Keep this in mind the whole time. Things will go wrong, and there will be difficult and stressful moments, but you are building memories and instilling values in your children that will be there forever. Pack well, be prepared and then just relax and have fun! Before you know it they will be teenagers and won’t want to so much as watch TV with you. Enjoy these moments as much as you can. It’s unpleasant to think about, which is why we left it for last, but it is a reality. Diapers cannot be disposed of at most campsites so you will need to come prepared otherwise your pleasant campsite might become unbearable rather quickly. Bring some type of bag that is large, waterproof and sealable. Once a diaper goes in there, you don’t want to worry about it ever coming back out. 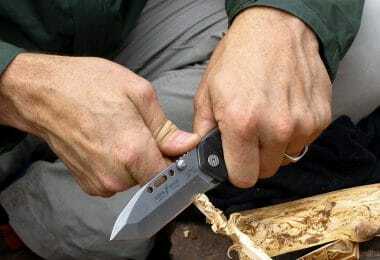 If you venture into the woods or camp in more remote areas, there is a chance you might have to do this too, so don’t be afraid to get something that seems larger than what you might need. The last thing you want is to have a waste issue of your hands. That’s pretty much it. Camping with young children might seem scary and stressful, but the reality is that with a little planning and preparation it can easily turn into a fun, rewarding and memorable experience that will go a long way towards building family unity and cohesion. Many of our fondest memories with our families come from trips like these, so it is important you give your children the same experiences. 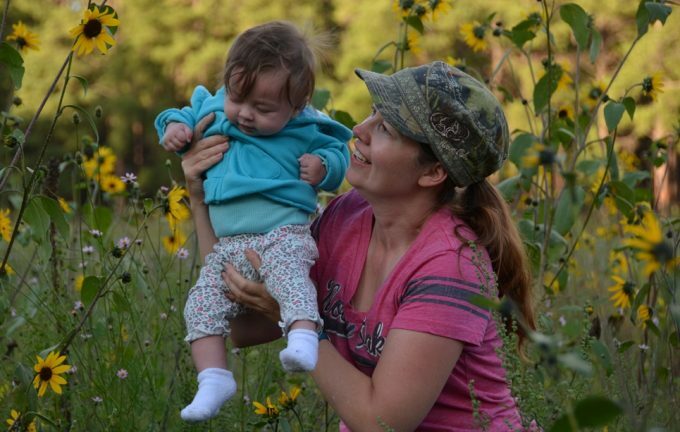 There will likely be bumps in the road along the way, but after a few trips you will become an expert packer and planner, and you will learn to love going camping with the little one. For more tips and guidelines starting your kids early with hiking, see our earlier piece on this topic. What did we miss? Have you ever taken young children camping? What do you do to make sure you are fully prepared? There is no right way to prepping for this type of trip, so feel free to share your experiences so that we can all master this process and then head out to make meaningful and long-lasting memories with our children.